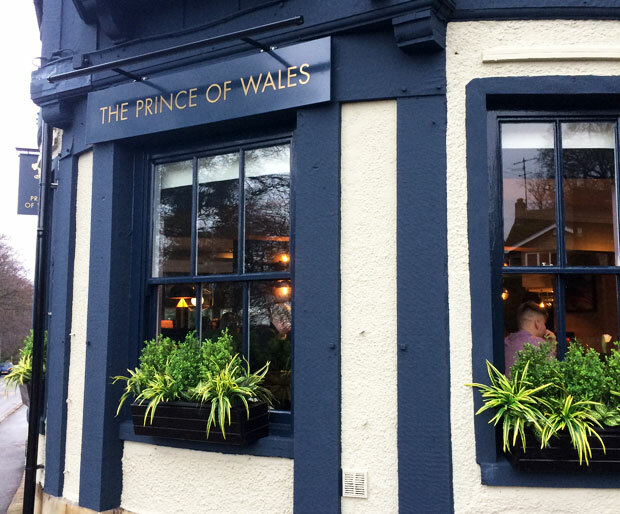 I’ve lived in Sheffield for over 10 years now but had never been to the pub and restaurant The Prince of Wales on Ecclesall Road in Sheffield until last Saturday. The Prince of Wales is a premium pub, bar and restaurant centrally located in Sheffield and it’s got it’s very own courtyard if you fancy sitting outdoors and a contemporary interior with a welcoming bar and an impressive menu, including traditional pub food and lots of modern dishes too. 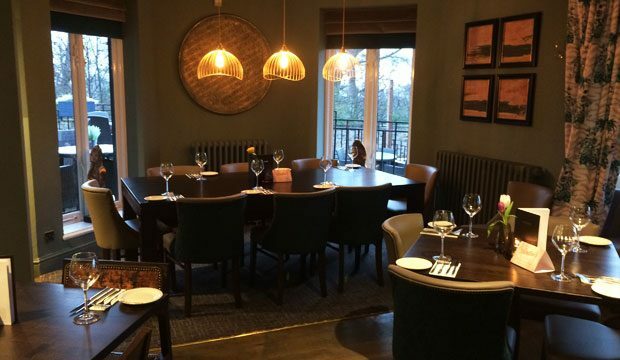 This pub and restaurant has just undergone an exciting refurbishment, so it has a brand new look as well as an extensive new seasonal menu that includes a wellness range of healthy food choices that are 750 calories or less and high in protein, as well as a new, very generous, vegan menu. As a vegetarian myself, I’m really pleased to see such a large selection of vegetarian and vegan dishes on the menu. I’ve never been to a pub where I had so many choices before! The new menu also includes a larger selection of low and non-alcoholic drinks and mocktails. Another aspect that I really loved, being 8 months pregnant and not allowed to sample the wine menu at the moment. 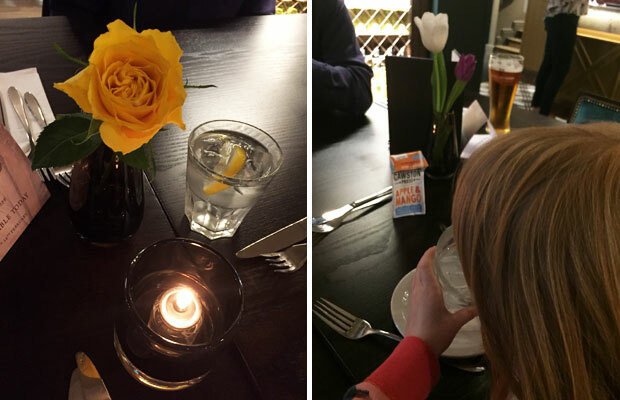 On Saturday, I visited with my husband, daughters and father-in-law to check out the new look of The Prince of Wales and to try the new menu. We booked a table for 4pm as we wanted to eat early before the kids got too tired. We arrived and were greeted and seated by friendly staff. Other families had the same idea as us and we spotted a few other tables with young children enjoying their meal at this time. This is one of the key aspects of eating out at restaurants with kids — go early! We looked at the menus and our waiter took our drink orders. I had to try some of the non-alcoholic drinks and asked the friendly and helpful waiter to help me find the mocktails in the menu and he did and quickly helped me and then recommended the Victoria’s Secret which was delicious! My husband and father-in-law ordered a pint each and the girls an Apple & Mango juice box. For the kids, we ordered from the Children’s Menu which has a great selection of dishes for little ones. 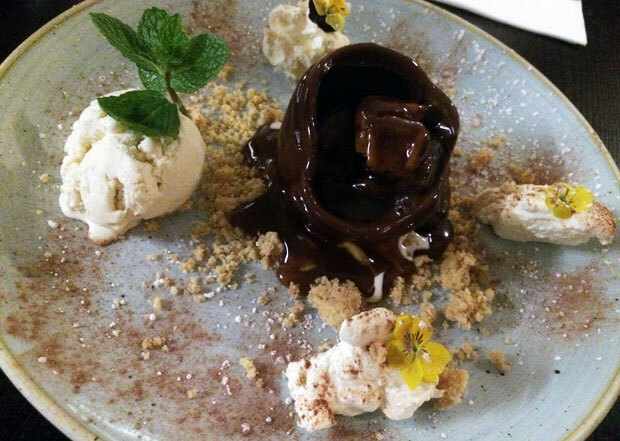 You can choose a main meal and a dessert for just £7.95, Monday to Saturday. 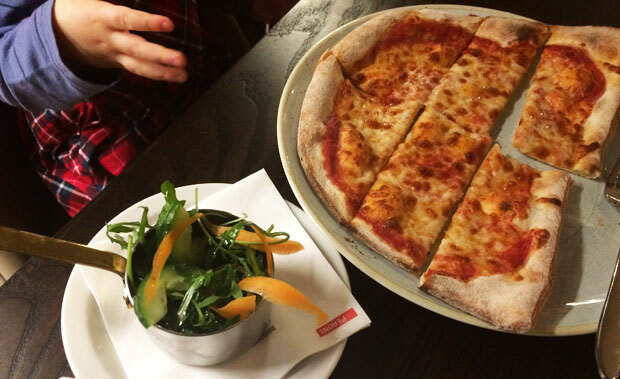 They both had the Margherita Pizza with a salad on the side which they both really enjoyed! 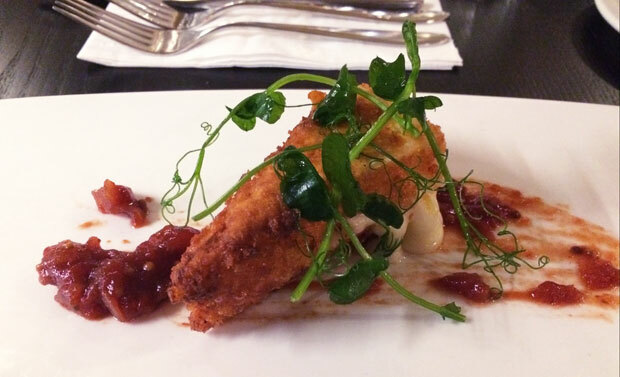 We naturally started with starters and, being very fond of cheese, I had the Deep-Fried Brie In Panko Breadcrumbs With Chutney which was amazing! I could have easily eaten eight of these wedges but the one large one was the perfect size for a starter. 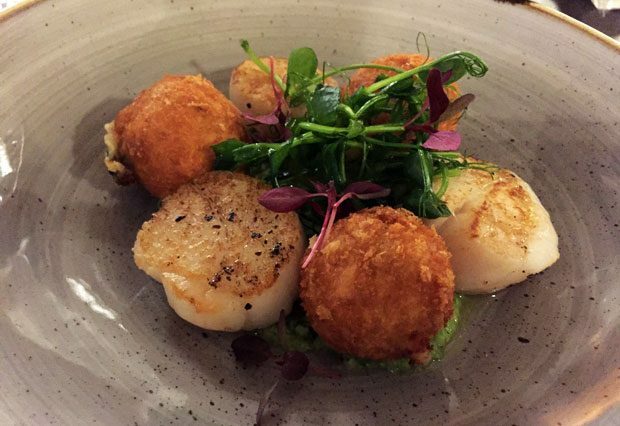 My husband had the scallops of the day which were cooked to perfection and came with deep fried fish cake balls and Minted Pea Purée. 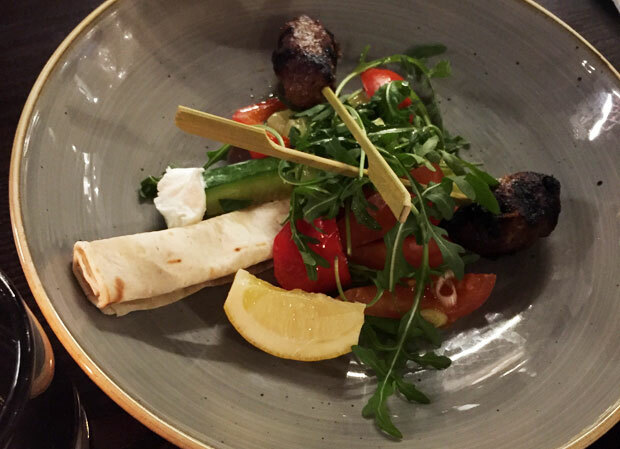 My father-in-law went for the Chargrilled Lamb Koftas with Goats’ Curd, Plum Tomato, Roasted Red Pepper, Cucumber & Mint Salad which he was very impressed with! Time for mains. You’ll soon spot the cheese theme I was going for here… For my main meal, I had the Battered Halloumi with Twice-Cooked Chunky Chips, Minted Pea Purée And Tartare Sauce. Oh my, this was so good! 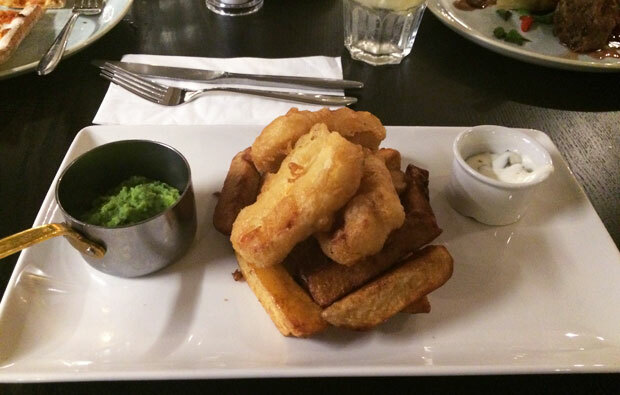 I liked the twist of the classic British dish that is Fish & Chips and everything was tasty! The deep fried and battered halloumi was wonderful and melted in your mouth, the chips perfectly cooked and the sauces yummy too. I had a side of rocket and Gran Moravia cheese salad which balanced out all the deep-fried-ness perfectly and added a bit more veg to the meal. 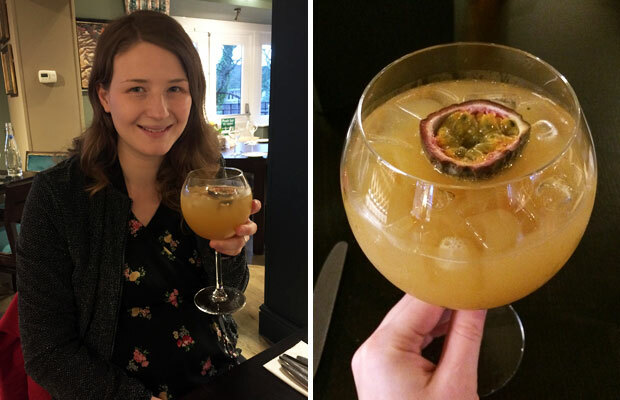 I had another mocktail with my food and went for the Elderflower Sherbet which ticked all the boxes for me as it has two of my favourite things — elderflower and cloudy apple juice, topped with lemonade. It was very delicious and refreshing and made a perfect contrast to my deep fried goodness of a main meal. 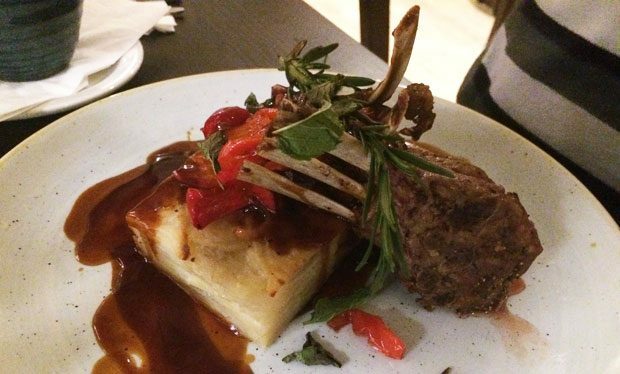 My husband had the Roasted Rack Of Lamb served with Aubergine, Roasted Sweet Peppers, Potato Dauphinoise and Red Wine Jus. He had the lamb served very rare. He really enjoyed this meal and said the Potato Dauphinoise was particularly delicious! 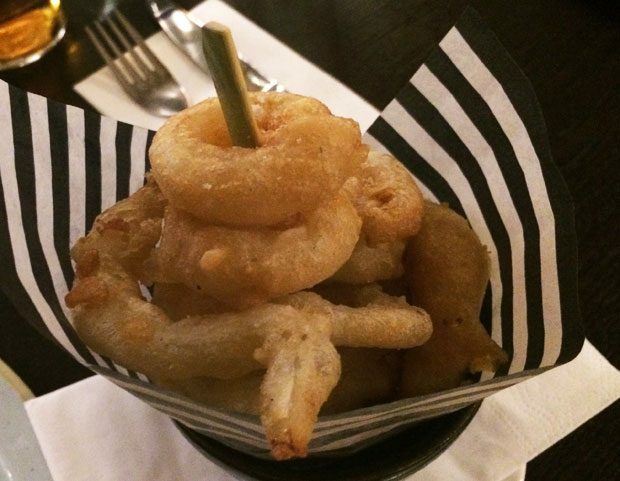 If there are onion rings on the menu, my husband always orders them and The Prince of Wales menu does so he had a bowl of them on the side. Their beer batter was spot on and they looked like little doughnuts just like good onion rings are supposed too. Very good! 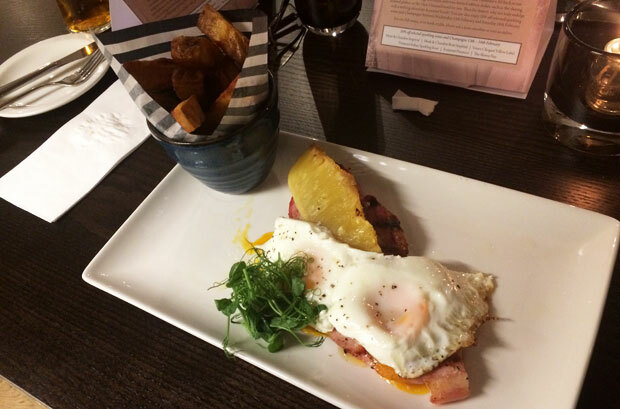 My father-in-law chose the classic pub dish Gammon with Pineapple, a Fried Egg, Salad and Twice-Cooked Chunky Chips that he devoured and complimented the chefs on. The Prince of Wales has a really impressive dessert menu too, that we couldn’t wait to sample. I ordered a flat white coffee to go with my generous slice of New York Style Baked Vanilla Cheesecake with a forest fruit compote and whipped cream. Yes, I went for a cheese theme again and I’m so pleased with my choice. 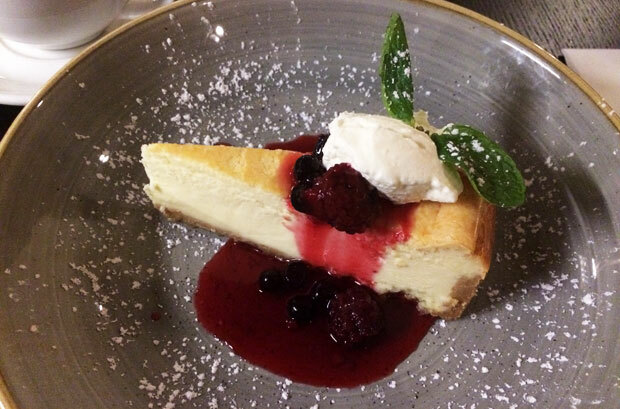 It was a perfect slice of baked cheesecake and the berry compote worked really well with it. Both my husband and my father-in-law went for the showstopper dessert that is the Melting Chocolate & Peanut Bomb filled with sticky toffee pudding and peanut butter cream, served with Bourbon vanilla ice cream & hot salted caramel sauce. It was as indulgent as it sounds and very tasty! 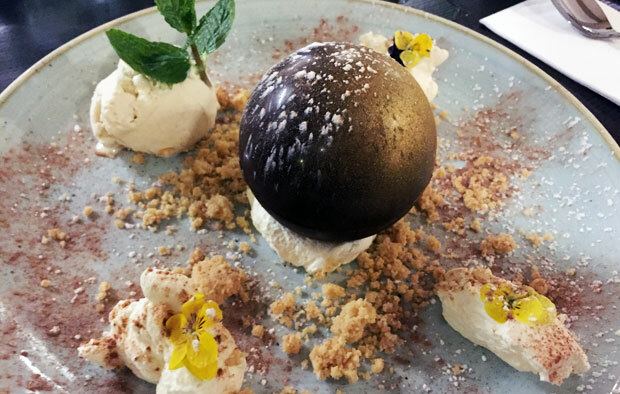 The waiter presented the dessert and then poured the hot salted caramel sauce over the chocolate bomb to melt it slowly and reveal the pudding on the inside. It was very sweet, rich and amazing! The girls had a dessert each from the children’s menu and our eldest had the Chocolate Brownie with vanilla ice cream which she was very pleased with. 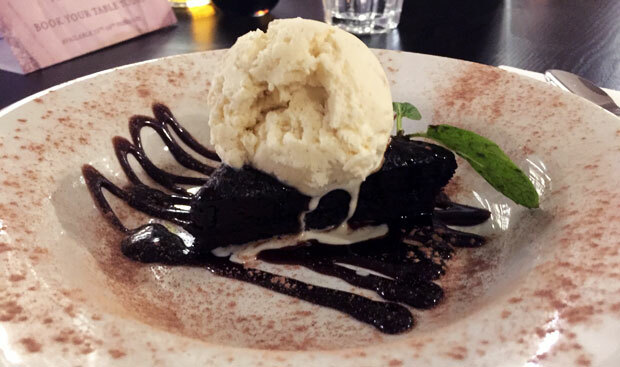 She loves chocolate so brownies are usually the top choice for desserts when we have a meal out. 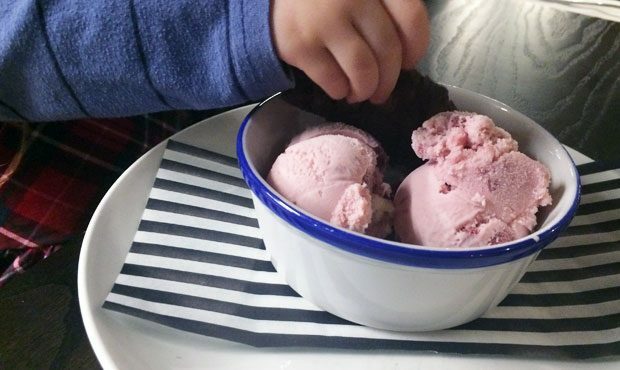 Our youngest daughter chose the Home-Baked Triple Chocolate Cookie & Strawberry Ice Cream (also available: chocolate ice cream or vanilla ice cream). She was also very happy as she loves anything with strawberries! The ice cream was good quality ice cream with actual pieces of strawberries in it which was nice. Our whole party was so pleased with the whole meal and the amazing service at The Prince of Wales! 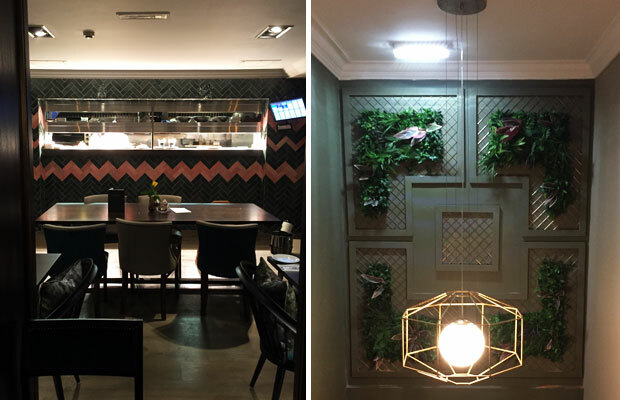 We also enjoyed the stylish decor and warm atmosphere of the restaurant. It felt modern and cool but still inviting and comforting. It’s very well suited for families and couples of our age group — 30-somethings with young kids. 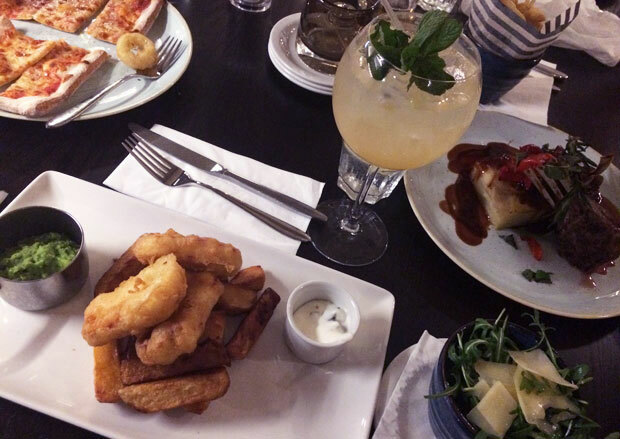 We’ll definitely be back for more meals out at The Prince of Wales. We were invited to visit and have this meal free of charge in exchange for our review. As always, all my reviews are 100% honest and all thoughts and opinions are my own. 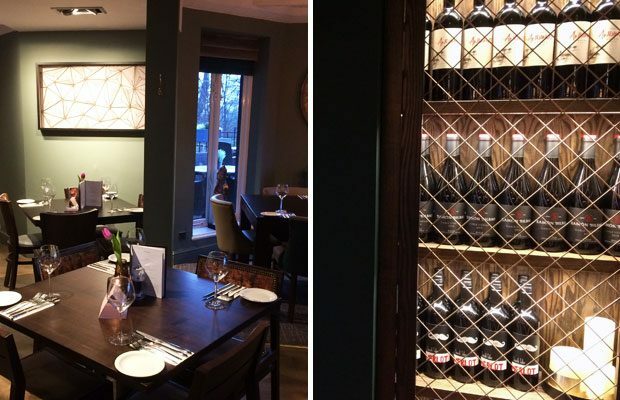 Looking for more Sheffield restaurant reviews? 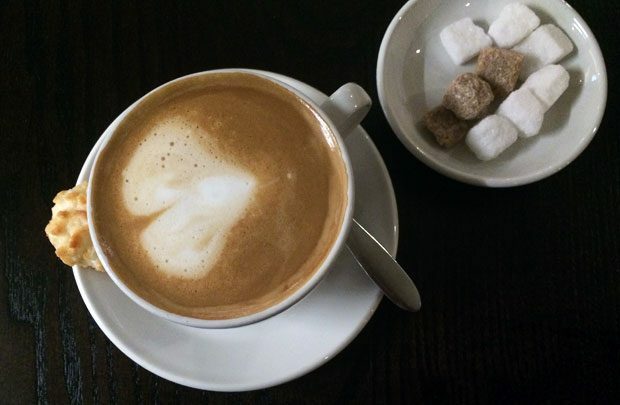 See all my reviews of restaurants in Sheffield here. It certainly looks miles better than it did 20 years ago, when I used to live near there!